At Strong Spas, they place great importance on providing quality health and wellness benefits to their spa owners, and recognize the value and luxury a spa can bring to a home. Strong Spas is one of the largest manufacturers in the world, and one of the few hot tub manufacturers with plant operations in the USA. 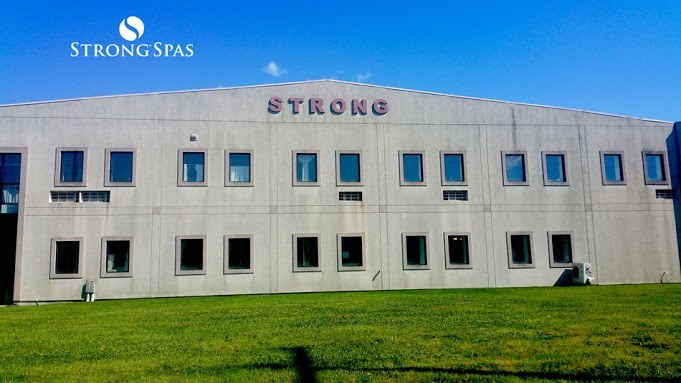 Strong Spas are proudly assembled from the ground up at their Pennsylvania manufacturing facility and are sold and shipped throughout North America and Europe. Quality is never sacrificed at Strong Spas! 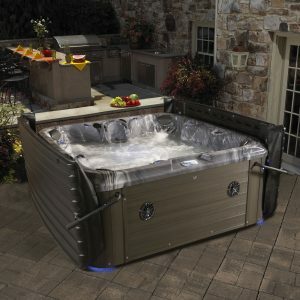 Strong Spas has 100 quality control checks in place before they ship out their hot tubs to customers. Making hot tubs affordable for everyone! 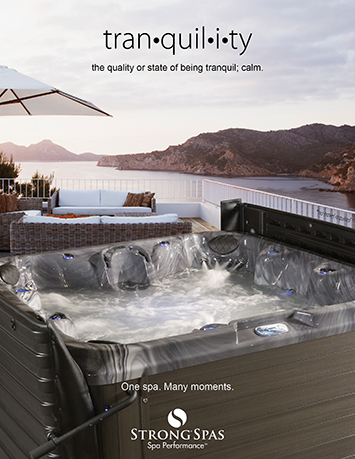 Strong Spas is able to provide hot tubs that are luxurious and stylish to fit any lifestyle and budget. Answering questions about hot tubs! 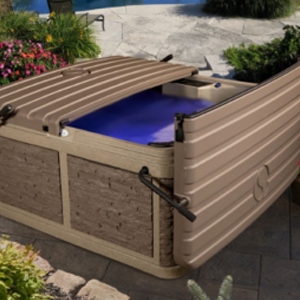 Strong Spas has sales teams and an extensive dealer network, including Young’s Hot Tub Sales & Service Center Inc., that is knowledgeable with any questions that you might have about any of Strong’s hot tubs. Young’s Hot Tub Sales & Service Center Inc. is a factory-authorized service center. Our trained service technicians provide the proper service for any Strong Spas hot tub that is under warranty. We continue that outstanding service even after the warranty ends. Strong Spas maintains an A + rating with the Better Business Bureau. They are constantly checking their ratings to make sure that they are meeting customers’ satisfaction in the areas of sales and overall customer service experience. IHTA (International Hot Tub Association) member. As a trusted member, Strong Spas abides by the strict membership criteria specific to industry legislation, certification, and licensing and is required to provide their customers with hot tubs that meet and/or exceed safety and energy standards. As a result, Strong Spas’ customers are able to purchase with 100% confidence in Strong Spas product and Strong Spas. Strong Spas operates in a “Lean and Green” model in the overall manufacturing process in the design and construction of your unique spa. Strong Spas ensures an environmentally-friendly and energy-efficient spa every time, which affords them the ability to provide customers with additional savings and decreased operating costs. Strong Spas is a global leader in the spa industry and one of the largest spa manufacturers in the world. Every affordable luxury spa is proudly custom-built in one of their facilities in Pennsylvania. 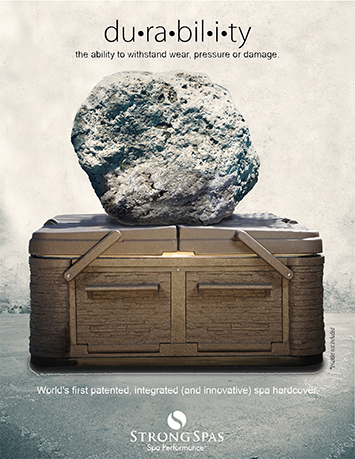 Strong Spas is the innovator of the DURA-SHIELD™, which is the first true patented, hardcover system that is molded hollow from durable resin and filled with a proprietary foam to protect the spa from harsh environments and provide energy-saving heat retention. CLICK HERE to find out more about the DURA-SHIELD hardcover system. The ability to withstand wear and damage is the essence of durability. We also believe durability combines resiliency and security. It boils down to this We make things to last. For a very long time. We never stop imagining something better. 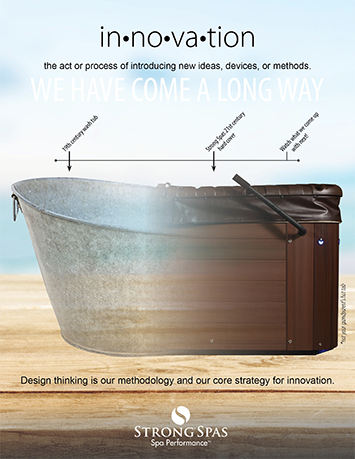 We never stop refining and improving that next generation of hot tub. We never stop creating, designing and building. Thatâ€™s innovation. 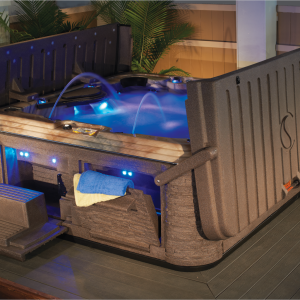 Young’s Hot Tub Sales & Service Center, Inc. Is an authorized dealer of Strong Spas in Union City, Erie, Warren, Buffalo, Jamestown, Meadville, Conneaut, Ashtabula, Pittsburgh, Cleveland, and throughout the Western Pennsylvania, Northeast Ohio and Western New York area. For more details and photos of each of the lines of Strong Spas, click on the links at the top of this page. Still have questions? Submit a PRODUCT INFORMATION FORM or give us a call at 814-438-2512 or text us at 814-720-7943.